Another year has come to an end, and we are all starting to get back into working after the long and, in Durban, very hot break most of us had. 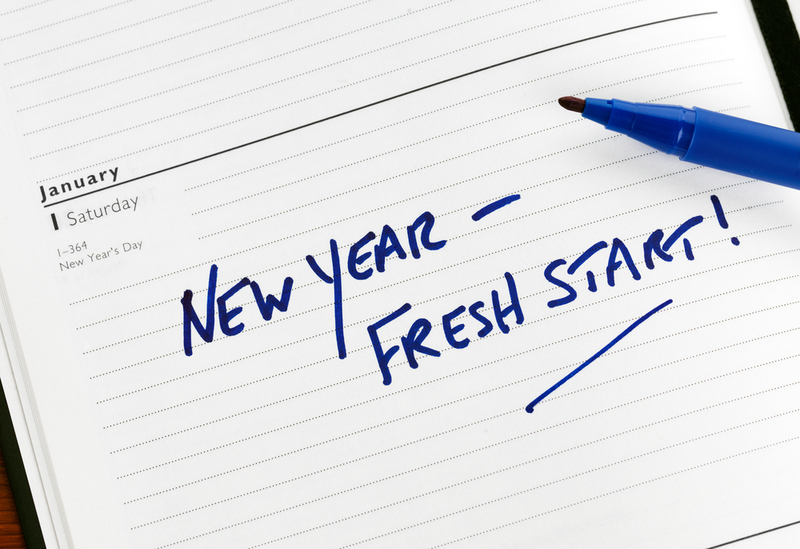 The start of a new year, as with any new change, often brings a renewed sense of focus and a lot of us make resolutions. In business we tend to discuss these in strategy meetings and put them into our business plans as goals, but they all seem to be the same: Things we would like to achieve in the coming year! A number of places on the internet have talked about New Years resolutions, and the things to consider when making these goals for changing things in our lives. The key things are to make them as Specific as possible, to ensure they are Measurable, the goals need to be Attainable and Realistic, and there needs to be a clear Time frame of when you plan to reach them. This makes for SMART goals! Another way to look at SMART goals is to know what resources you have in order to make your goals attainable and realistic. This is where know an organised and efficient concierge can really make a difference in your home or business. If any of your New Year’s Resolutions are from the Top 10 I found here – then we can definitely help! Spend more time with my family & friends. A concierge service is there for exactly this reason – to do all the little things that need to be done, often during time that is spent away from work, that takes time away from friends and family. Fit in Fitness. Let us help you research classes in your area, let us book your tee of times, let us guide you to some of the options available where you live. Tame the Bulge. Most people find the hardest time to resist temptation is when it is in front of them. Let us do your grocery shopping so you aren’t tempted. We can also assist with finding personal chefs, diet programs and other service providers who can help with this. Quit Smoking. This one is a little harder, but we can research options online for you, find a councilor who can help, pick up bubble wrap to keep your hands busy for you, and help with any other things we can. Enjoy Life More. How much more enjoyable would your life be if you didn’t have to stand in queues on your day off? Or sit on the phone holding to make a reservation? Or had someone around to plan your function for you? We can do all those things for you and more. Including booking tickets for shows, making travel bookings on your behalf, doing the things that take you out of the office so that your leave can be for fun stuff! Quit Drinking. We can help in the same ways with quitting smoking above. Get Out of Debt. We can research options for you, make recommendations on products our clients love. We can do your bill payments and ensure that you are reminded of things that need to be paid in order to avoid late fees. We can help you reduce excess spending by doing your shopping for you, thus really sticking to your list. Learn Something New. We can find a violin teacher in your neighbourhood, source the best scrap booking supplier in your area, find a surfing teacher or sewing classes. Having time to take these classes will add to your ability to perfect your new skills. Help Others. We can research charities that could use your help, we can make deliveries on your behalf, we can give you the time you need in order to spend it helping others. Get Organised. We can assist with doing the actual organising, we can arrange suppliers to help, we can keep your diary organised as well as ensuring that you never forget another important date. So when you are making and revising your goals and resolutions of 2014, remember to keep them SMART, and remember that Leavit2Me is there to ensure that you are getting the best of your goals. Use us to make your life easier!